Black Friday Special!!! Bargain Alert! That's right! 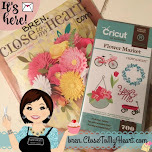 You get a $99 value mystery box of goodies when you buy ANY cricut cartridge from me! Today through Saturday!!! 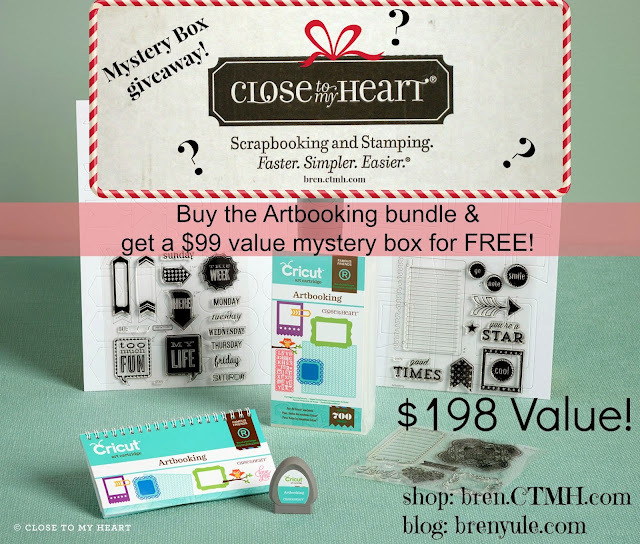 You MUST email me (brenyule@gmail.com) or place an online order of $99 in retail by SAT Nov. 30th 12pm PTS and I will STILL mail you a mystery box! 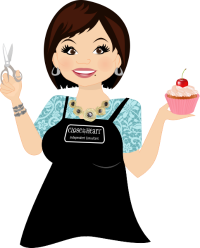 If you've come from Sheri Rottler's blog, then you are in the right place! I LOVE all the talented friends in the hop! Lucky YOU to get to see it all! 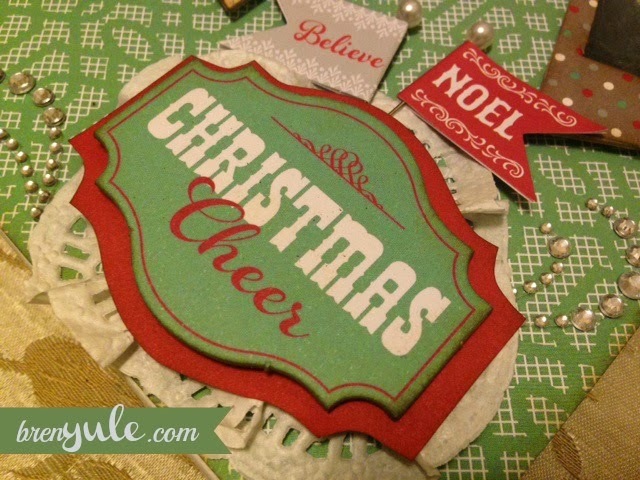 I decided to make a canvas using our Sparkle and Shine Papers and Embellishments! These darling boys just needed to be showcased! 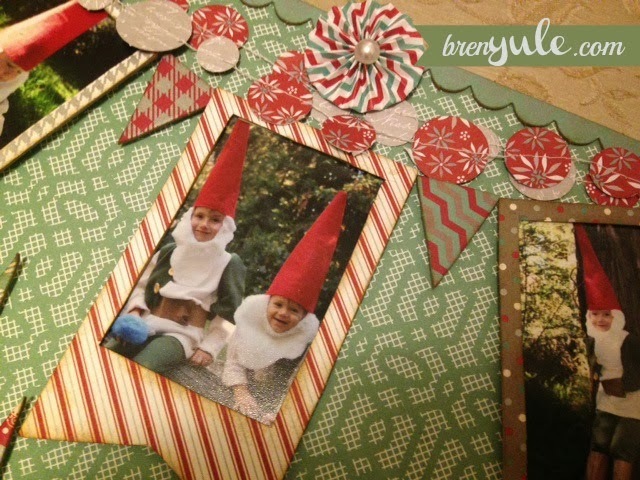 The Quirk boys sent me their darling Holiday card and I turned it into a gift to present to them this year! I think they will love it! Fun and easy to do...don't forget the necessary tools! Like our non-stick micro-tip scissors, our liquid glass, 3-D foam tape and bonding memories glue! It's easy to shop, even in your jammies at midnight! 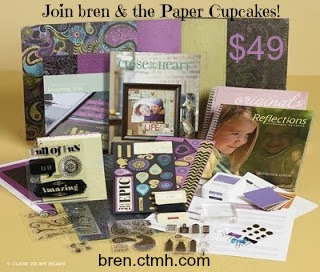 Just go to bren.ctmh.com and click on the shop button! Don't forget to check out the Bargain Alerts in the "While Supplies Last" section! Now hop on over to Debbi Fournier's blog and enjoy the hop! 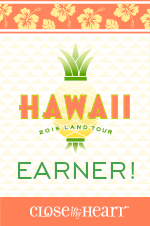 If you get lost along the way you can start over with Dana Kessler's blog for a list of everyone participating! 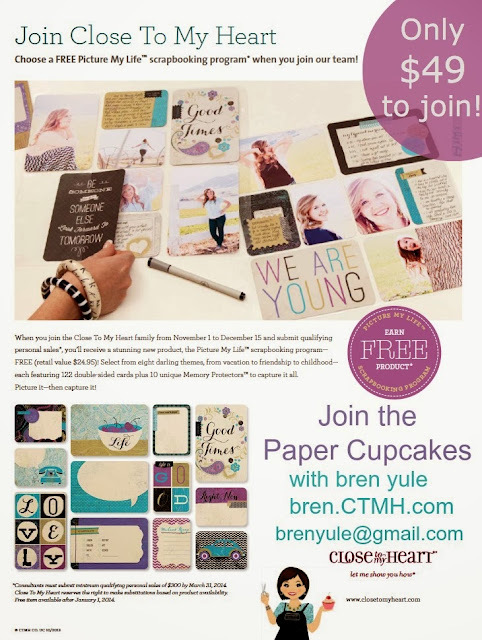 Join the Paper Cupcakes and get a FREEBIE! Only $49 to join us! Picture your life with Close To My Heart! Join us for only $49! and get this bonus FREE! Starting NOW- Close To My Heart begins an incredible opportunity, unique Constant Campaign, and product sneak-peek all rolled into one huge offer!! When you join my CTMH team from November 1 to December 15, with either the Essentials or Master New Consultant Kit you may also receive a brand-new exciting product from the Spring/Summer 2014 Idea Book. To be eligible for the free product, you must remit $300 in commissionable sales by March 31, 2014.
plus commission on your sales! The Paper Cupcakes are an amazing group or creative ladies! There are many programs like "Straight to the Top" to help you to become successful! And corporate has many training videos and ideas right on your own FREE website! AND who doesn't love a discount? Support your creative side with top quality exclusive products! It's a great time to join in and stock up for gifts for your friends and family! 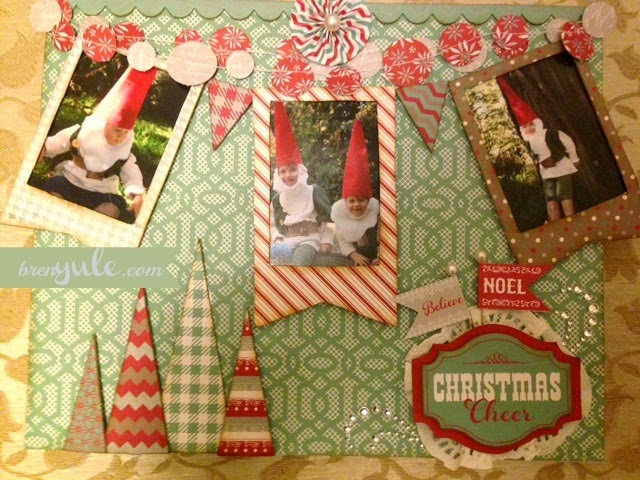 Create cards, scrapbook pages, home decor, calendars, table displays, so many wonderful ideas to share! Oh and you make $$$ when you hold home gatherings, workshops and when you build your OWN team! "Spirit of Close To My Heart" award! It's more like a family to me! Our next convention in the summer of 2014 is at Disneyland! Can You Picture YOUR Life with Close To My Heart??? I can't picture my life without it!